There's nothing unique about being a Disney fan. It's very easy to say you like something that was obviously meant to have mass appeal. 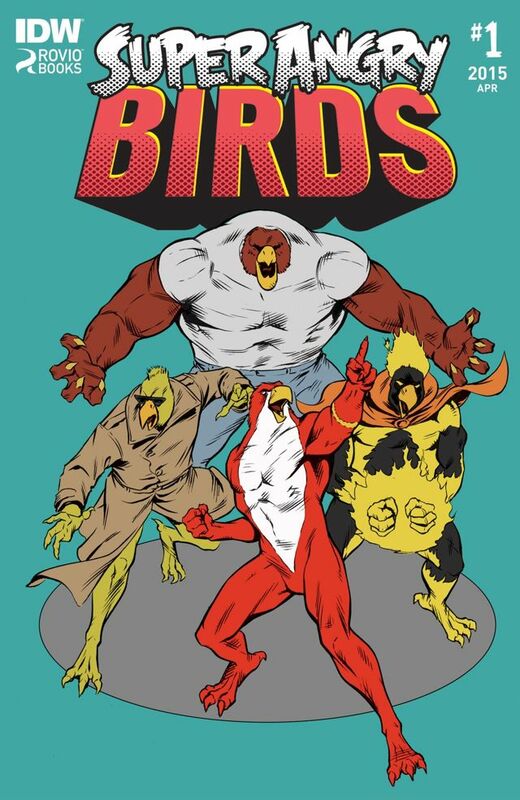 So in my everlasting attempt to stand out, I decided that rather than become the billionth sale for Disney's big furry flick of the year, I'd try and vouch for the underdogs – those dark-horse films such as Rock Dog, Sly Cooper, and what we're discussing here: Angry Birds. It's a lot harder to make a case for a movie when no-one has any expectations for it. It was like fighting a losing battle, but I was happy to at least give these some attention. And now, the first of these films which I championed has been released! I was fortunate enough to see it on release weekend and I can say that the theater was definitely packed. Was this film the embodiment of perfection or did it leave something to be desired? Let's see. It had to happen, perhaps: A feature film based on a phone app. Of course, it is one of the biggest phone apps of all time: Angry Birds. 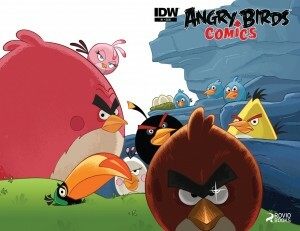 According to an article over at Neon Tommy, Rovio and Sony Pictures have teamed up to announce the cast and crew for the upcoming Angry Birds movie. (In case you couldn’t guess, it’s going to be CGI.) 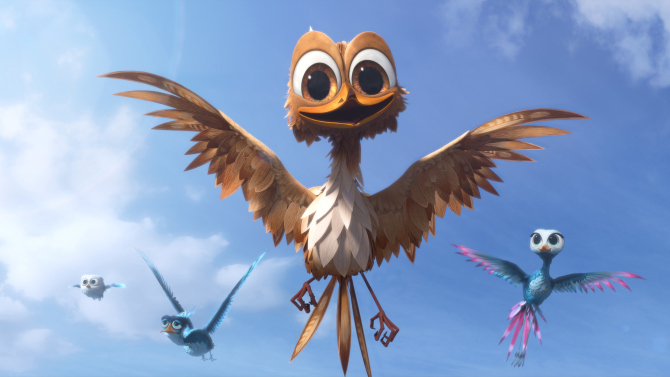 “Cast as the lead roles in the animated movie, Saturday Night Live alums Jason Sudeikis (We’re The Millers) and Maya Rudolph (Bridesmaids) will play Red and Matilda, alongside Game of Thrones star Peter Dinklage, who will be playing Mighty Eagle. Some other big names that will be joining the cast include Josh Gad (Frozen), Bill Hader (Skeleton Twins), Kate McKinnon (Saturday Night Live), and YouTube stars Ian Hecox and Anthony Padilla of Smosh. Behind the scenes, John Cohen (Despicable Me) and former Marvel Studios president David Maisel will be producing the film, while Clay Kaytis (Frozen and Wreck-It Ralph) and Fergal Reilly (Spider-Man 2) have been announced as directors.” The birds will fly in July of 2106. It looks like 2014 is not only the year for animated features, it is the year for animated features featuring anthropomorphic animals – and fruits – and rolls of toilet paper. 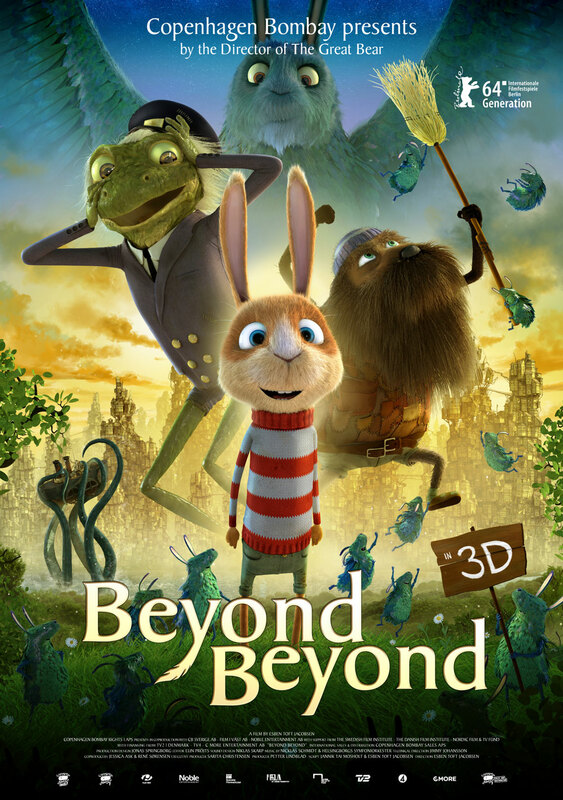 Here is the 1’32” trailer for the Swedish 79-minute Resan Till Fjäderkungens Rike, or Beyond Beyond, directed by Esben Toft Jacobsen, released March 21 in Sweden, and expected to screen at international animation festivals throughout the year. Judging by the publicity so far, this is a strong contender to become the Ernest et Célestine of 2014. It’s got seagoing and circus-performing rabbits, and a giant furry bird, and a frog sea-captain, and… trolls? And what are those little blue things? 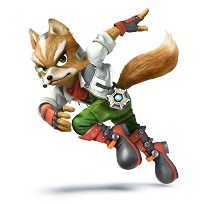 Anyway, it looks like a feature that furry fans will love. 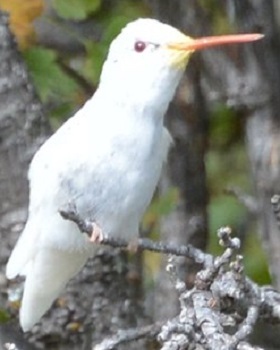 Let’s stick with the bird theme for the moment. Pengey Penguin is an orphaned flipper-bird who is the star of two new hardcover novels for young readers — both created by author John Burns. 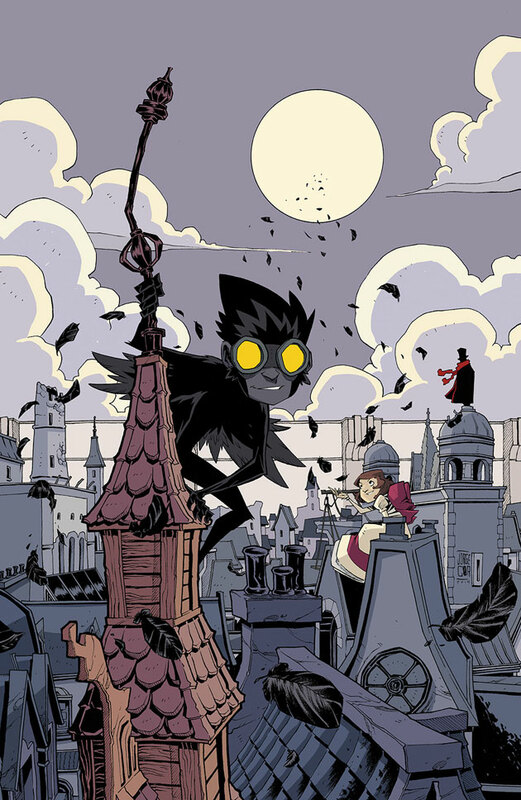 In The Many Adventures of Pengey Penguin, our smooth-feathered hero ventures out into the Big World, encountering many dangers yet making friends at the same time. In The Further Adventures of Pengey Penguin that “Big World” becomes New York City, as Pengey moves in with his adoptive human friend — and both of them learn to make the situation work. 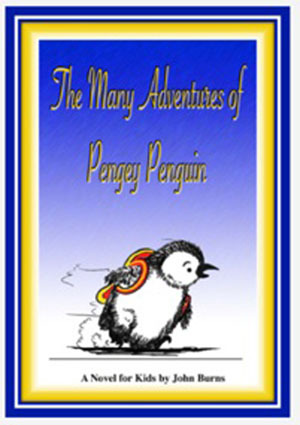 Visit the official Pengey web site and you’ll find not only the books and several tie-in items like Pengey t-shirts, but also a collection of nature documentary shorts and even links to penguin-themed cartoons. These books are not available in stores: Only on-line, so visit the web site to get them. 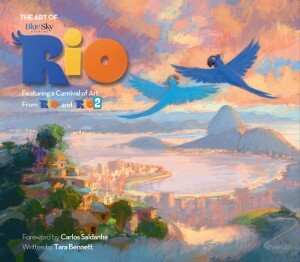 Not content to have the (as should be expected) “art of Rio 2“, Blue Sky Studios instead brings us The Art of Rio: Featuring a Carnival of Art from Rio and Rio 2. My, now that’s a title! 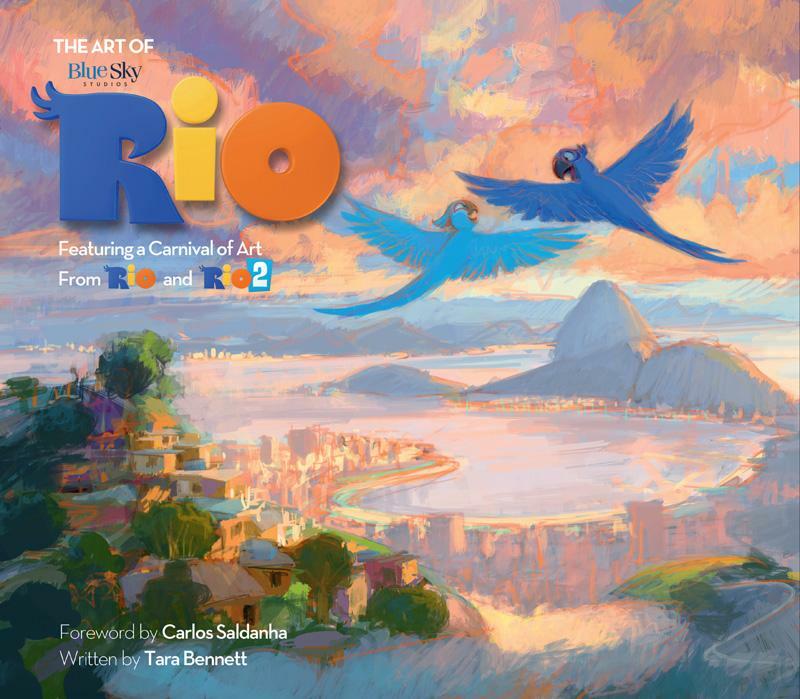 “From 20th Century Fox Animation and Blue Sky Studios, the creators of Ice Age and Horton Hears a Who!, the musical adventure comedy Rio told the story of how rare Blue Macaws Blu and Jewel met and fell in love in Rio de Janeiro during Carnival. 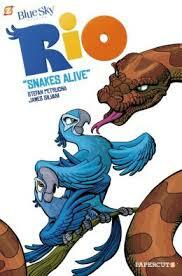 In Rio 2, the pair journey with their 3 chicks to the amazon jungle in search of their wild roots. 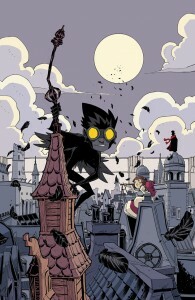 With over 300 pieces of concept art, character sketches, storyboards and digital paintings, along with interviews with the key animation talent, this book reveals the artistry behind the 2 colorful movies.” It’s put together by Tara Bennett (who’s written and edited several movie tie-in books of the sort), with an introduction by Carlos Saldanha (the director of both films). 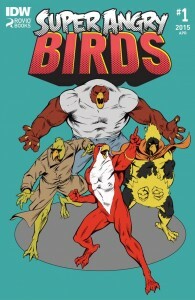 Look for it at Amazon, where it’s available now in hardcover.